The Web interface, which supports all major Web browsers on both Macs and PCs, is fully customizable to match your existing Web site and brand your business. 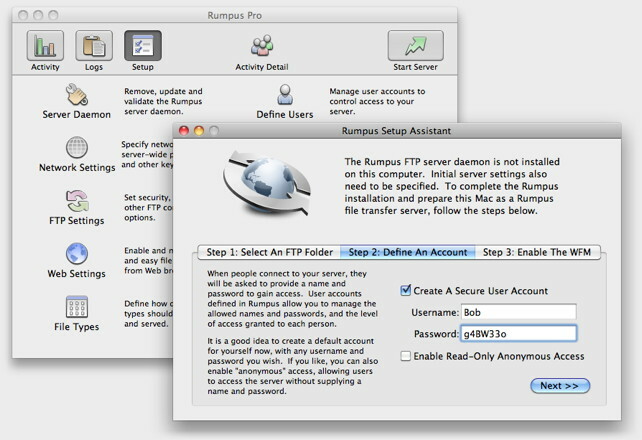 Rumpus is also secure, featuring encrypted transfers and full user access controls. Rumpus makes installing a full-featured file transfer server stunningly simple. 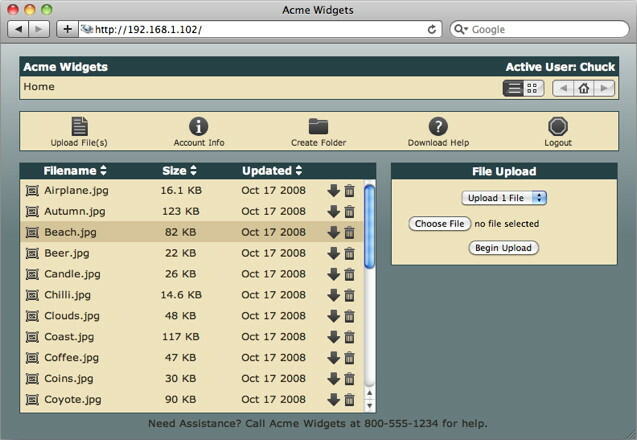 Rumpus supports all major Web browsers and FTP clients. Rumpus makes it easy to manage control of your server. a "Home Folder" for each. 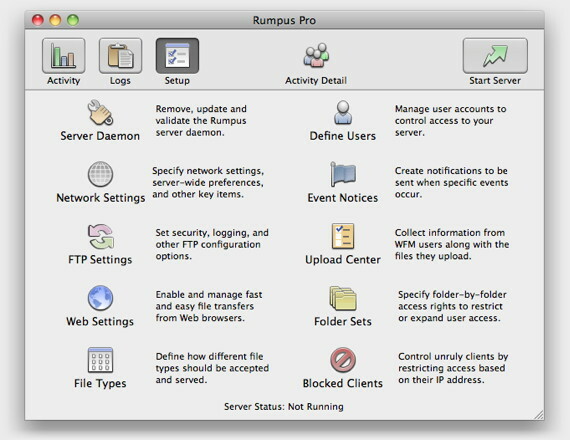 When users log in to your server, Rumpus gives them access only to their folder. Define a look and feel that matches your existing Web site and brands your business. Here, we see 3 customized views of the same content folder. Rumps offers tons of useful features. 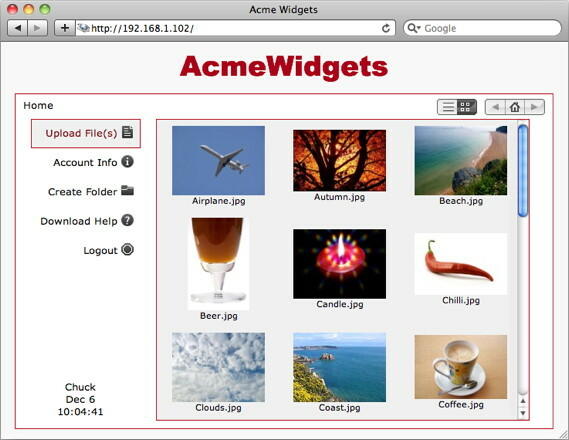 Allow users to transfer files with the Web browser they use every day. Receive immediate notice when files are uploaded, downloaded or other actions occur. 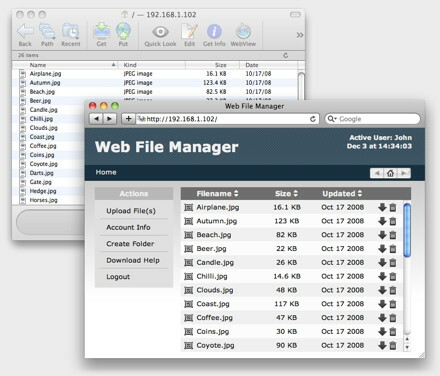 Monitor activity and access transferred files with the free, handy desktop utility, FileWatch. 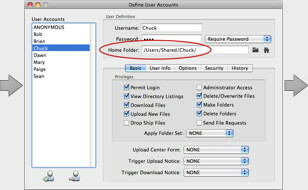 Prompt users for additional information about uploaded files via configurable data entry forms. 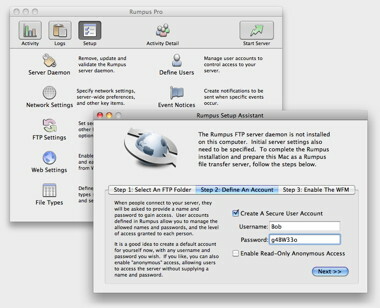 Rumpus supports SSL encryption for FTP, Web and WebDAV transfers. 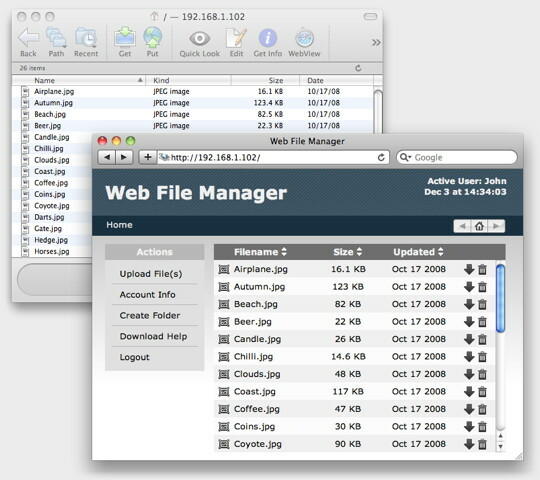 Users can search files on the server by file name or contents. Display files in a traditional listing format, or as thumbnail views of images, movies, or other media files. 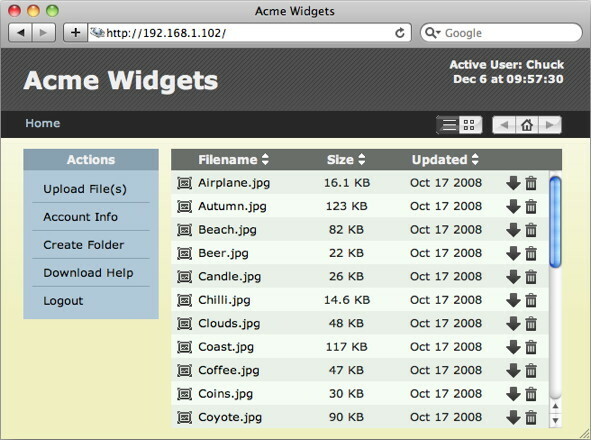 Rumpus users can easily send files to guest users, or even allow guests to upload files to their content area. 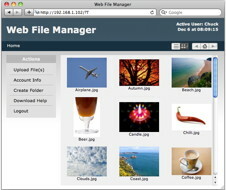 Web users can download or upload multiple files, or entire folders, at one time. 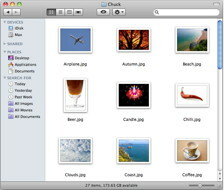 A custom interface allows iPhone users to easily view media files. 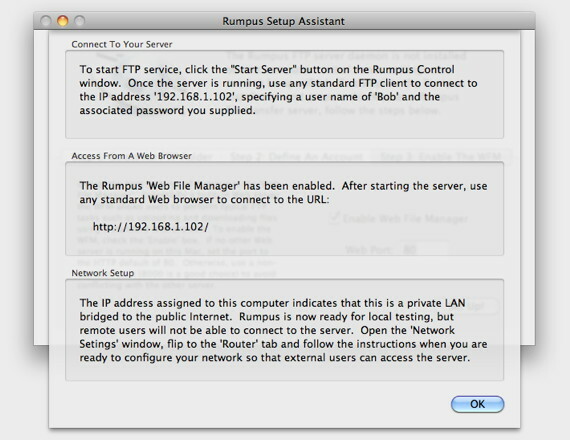 Run the full Rumpus control application on your own Mac desktop to control a remote Rumpus server. Track server activity from a single file transfer to overall server statistics. "With Rumpus FTP we've made data transfer between clients and our foreign offices a walk in the park. The ability to customise the appearance of individual pages is just one of the nice touches that our clients like. Rumpus is secure, easy to setup and best of all a delight to use." "I've been working on and supporting the Apple platform for 15 years now. I've used a ton of software in my years, be it Windows or Apple. I can confidently and intelligently say that your FTP software is by far one of, if not the, best pieces of software that I've ever put my hands on." "What GREAT, GREAT, GREAT support!!!" "Sometimes in your carreer as a system manager you discover an application that really gives you a feeling like: 'How is it possible that someone develops an application like this, with all its features, EXACTLY what we need?' Rumpus is one of these applications that makes my life as a system manager easy and even fun!" "We searched for a long time for a friendly ftp server solution like rumpus and were told by many 'experts' that what we needed was impossible without throwing thousand of pounds at the problem. Rumpus is a great programme at a fabulous price. I will recommend it as widely as I can. Really great work guys!" © Copyright 2010, Maxum Development Corp.